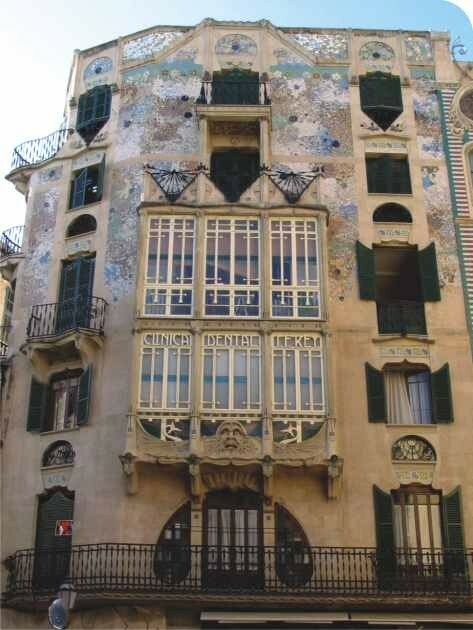 Modernisme in Palma de Mallorca has to be seen from a two-sided perspective. On the one hand, local architects developed a style that was similar to Art Nouveau by following the criteria of their clients, who wanted an architectural style that followed modern trends. But on the other hand, Mallorca has works of considerable importance by three of the most significant Catalan architects: Lluís Domènech i Montaner, Antoni Gaudí and Joan Rubió i Bellver. Palma de Mallorca was already a modern city by the beginning of the 20th century, having demolished its city walls and with a general enlargement project plan by the roads engineer Bernat Calvet i Girona that had been approved in 1901. A group of young architects in the city were already active and they produced works in a Modernista style that, according to the type of commission they had, alternated with other historical styles that they knew well, thanks to studies by Doctor Miquel Seguí. Gaspar Bennazar Moner, Francesc Roca Simó and Guillem Reynés i Font were the most important figures of this group and they left behind very significant works in the city centre, such as the Casa Casasayas, by Roca, with its daring façade forms. 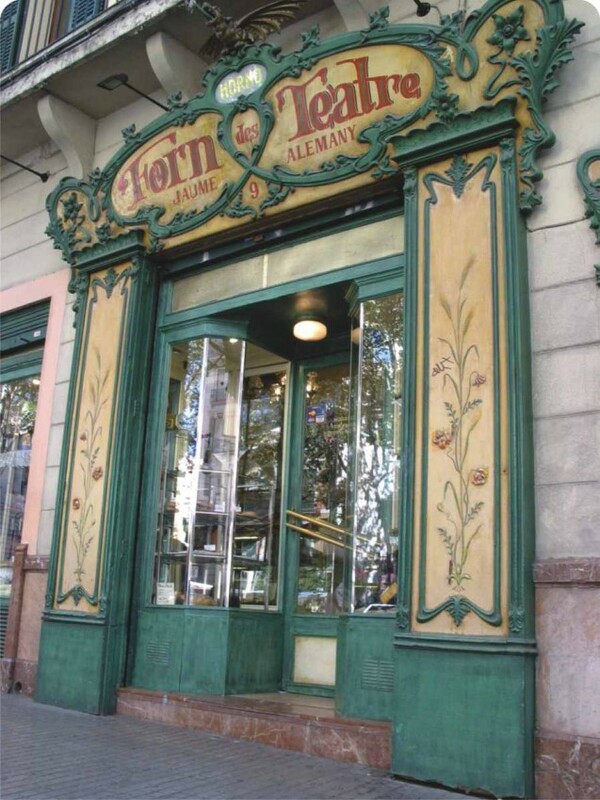 The Argentinean Lluís Forteza-Rey, who also designed original façades, can also be added to this group. 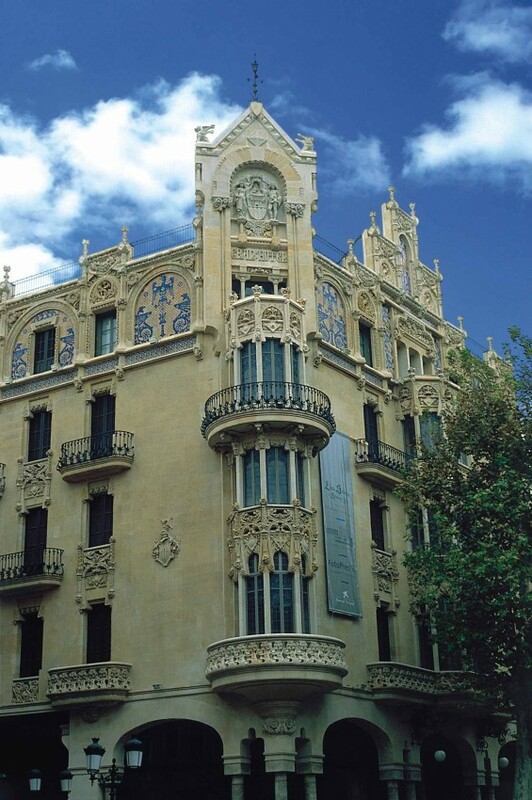 In terms of Catalan architects, the most important was Domènech i Montaner, who received an important commission to design the Gran Hotel (1901-1903), a splendid mature work by the architect that had a great influence on local architects. 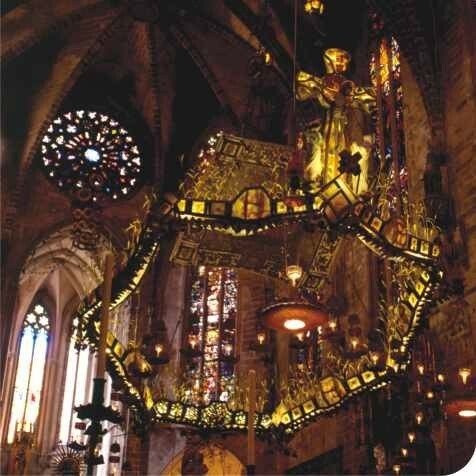 Gaudí provided a very different contribution to Palma's Cathedral together with his main collaborator, Joan Rubió i Bellever. His work was related to the predominant role of the Mallorcan Church's leading members, who wanted to promote Catalan language and culture on the island. Bishop Pere Joan Campins and his vicar general, Fr. Antoni M. Alcover, had established links with religious groups in Catalonia, such as the Cercle Artístic de Sant Lluc and the Lliga Espiritual de la Mare de Déu de Montserrat, both of which Gaudí was a member. This led to him receiving the commission to remodel Palma's Cathedral, on which he worked between 1904 and 1912. Gaudí had a wide range of collaborators, amongst whom was Rubió i Bellver, who continued on as director of the works from 1912. But the contribution of these two architects to the Cathedral goes beyond that of a simple refurbishment job for liturgical aims; it is a milestone in terms of how it considers the construction possibilities of Gothic art. Something that Rubió would later develop in his studies on the Mediterranean Gothic style.